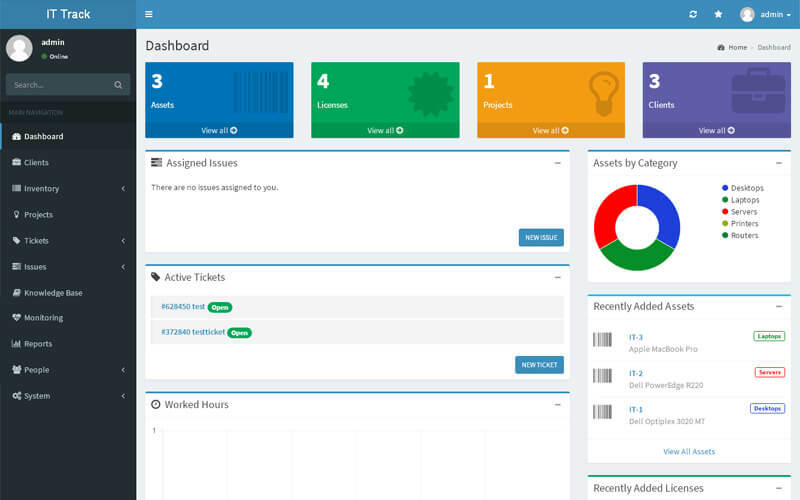 Intellectual property management scriptis our new advanced assets and property management script with flexible access and monitoring the reports or assets of the organization or personal inventories. This script is made for the professional business vendors to manage their property or assets report in easy and affordable cost with user-preferable customization by saving the time and money byavoiding the unnecessary purchase of the managing resources. This Inventory Management Scriptis also made for the small and large-scale inventory companies to control the overall digital and movable property with simple access. It is the open source inventory management php where the script is built up with reliable open source php platform to make easy and flexible customization code with unique features. The greatest advantage of our script is that we provided the script with helpdesk support where the tickets are listed for the user’s enquiry so it is an easy way to manage the digital property and help the organization more effectivelyby monitoring the inventory’s assets, license details, etc in thesingle store script. The Intellectual property management script has the authorized login portals for the users to login to the system by avoiding the unauthorized users free from securing the property data or reports. The user can see the clear dashboard with a number of categories and in the center of the dashboard they can find the listings of the total number of the assets, number of licenses, total number of the projects and the number of clients etc. The users can easily view the assets and recently added assets at the right side of the pop-out screen. In this Inventory Management Scriptinventory listings are displayed clearly with the starting and ending date of each inventory with the auto-generated tags of every new inventory project we have added. The License can keep track of the software license pack with the credentials of the serial number of the software, package name, category and supplier client name etc. The main advantage of our script is that the ticket feature functionality where the organization can keep connects with the clients to solve their issues. In this open source inventory management phpthe tickets auto-import from any email account function has been included, and also we have integrated escalation rules to escalate tickets if they are not resolved within certain criteria or period of time. The continuing monitoring helps to avoid the issues caused by managing the inventory properties by on tracking the servers and network service monitoring. So, this script is one of the best and recommends advancedInventory Management Script, for managing the movable intellectual property management script. In addition with this script the users can get 1-year technical support, 6-months free update and bug-free code with advanced customization managing script. I have searched with many vendors for intellectual property management script however not satisfy with that soon later checked script in Phpscriptsmall, perfectly matches my requirements. Awesome!!! All people worked with pleasure since my project last for 6 months and team never hesitate to answer.